what is the macro ratio everyone is using for keto? i thought this was supposed to be high fat? It all goes by your weight and what deficiency you want to have. I.E. weight loss or just being healthy. 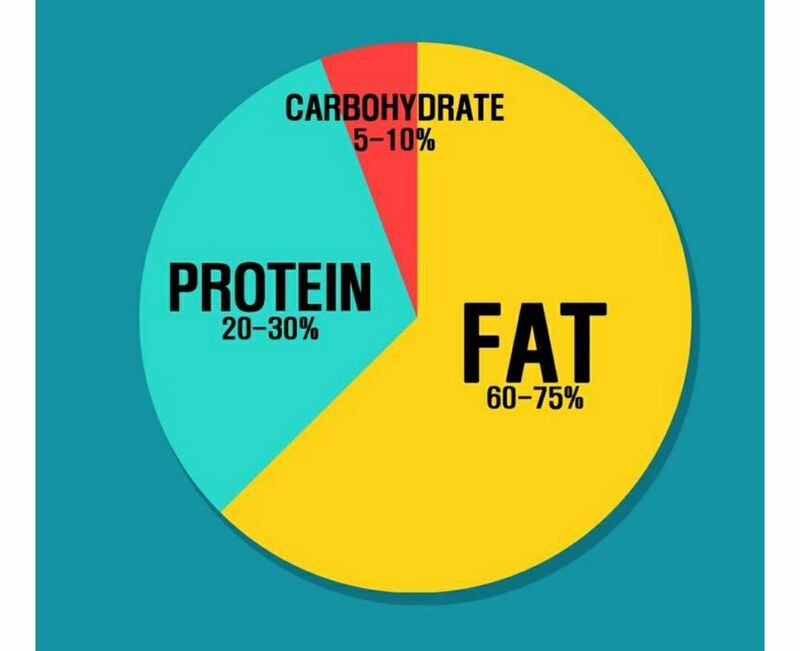 Your fat ratio should always be higher then the protein. It's high fat, moderate protein thinking. This is why I'm confused! I want to loose weight and be healthy of course. I have people telling me that the protein needs to be higher. That high fat is for maintaining weight or for medical keto. Telling me weight loss keto is different. my body frame structure is quite large. The higher fat - is for your energy for your nervous system- brain function- nerves, etc. if your to deficient in fats, you may be looking at ketoacidosis also and you will feel dumpy for a long time and give up. Keto adaptation can take awhile- I am understanding two weeks or more. Yes I am listening to everyone's opinion so far. Just confused. i think I'm going to just start low carb, mild protein and see where my fats are at. I don't have to hard a time with the keto adaptation (detox as I call it). But I will be taking potassium and magnesium supplements. I can't eat bananas so I need to get potassium elsewhere. And switching from regular salt to lite salt with potassium. And lots of water of course. cherylgreene32 and I LOVE avocados! If you know your body fat percentage, it will be very accurate. Eating too much protein will kick you out of ketosis. I was never in ketosis until I cut my protein down to about 100 grams. For perspective- I'm 160 pounds and just looking to lose a few more pounds of fat while maintaining muscle. My body fat went from 23% to 17% in 4 months. I'm eating 18 carbs or less, 100 protein, 150 fat and the pounds are melting off. In general, everyday people do not understand the keto diet - so don't listen to friends at the gym. Read articles about keto and follow the diet strictly. It's counterintuitive, because we've been conditioned to think that fat is bad, but it's not! JonnyPancake That calculator gave me odd numbers, it put protein higher than fat and very low calories but 25 carbs??? 1164cals, 25carbs, 86pro, 80fat. I did the calculator at Ruledme.com https://www.ruled.me/keto-calculator/ and got 1234cals, 97fat, 20carbs, 70pro The app calculator gave me 1390cals, 100fat, 104 pro, 17carbs. I don't know which one to use. The app you can choose from LCHF or ketogenic, I chose keto because choosing LCHF gave me 42carbs! carolmotsinger Honestly, any of those will get you losing weight. How tall are you? Have you been losing weight? Do you know how many calories you've been eating each day? I still swear by this calculator https://keto-calculator.ankerl.com . You can change the carbs on it and it will recalculate the macros for you. Try changing carbs to 20 and then see what numbers it gives you. lynnie19139 omg! I skipped these at the store the other day. 2.65 per av!i miss them though. Maybe I should have bought a few anyhow. JonnyPancake I'm 5-6 I have been stalled for months so wanted to update my goals. I had been only tracking carbs before. carolmotsinger Ok, in that case you are simply eating too many calories. Maybe aim for 1200 calories every day- about 90 fat, 80 pro, 17 carbs (that's the middle ground between your three calculations). Try that consistently for a week or two and see if you make progress. Then adjust from there. JonnyPancake I personally would increase the fat and lower protein. None of those salts. Pure animal fats. And these ratios depend on your bmi / weight now and desired fat loss. The fats should typically be a bit higher than the proteins. Stalls are typicall also. Takes time for the body to wake up through a stall. Patience is key. badmojomn also she could try a carb up in the evening a day or two a week for a bit. This is ideally where you want your macros my calories are between 800-1000/day but I am only 5 ft tall and not very active right now . I've lost 8 pounds in 10 days staying ver close to these macros. carolmotsinger if your hungry still, then something is off. Are you going ketogenic or low carb? 5'6 women should be around 1200-1500 Cal but this is all depending on your goals. If you calorie deficient to low, your bod may tell you your starving and that isn't good. Stalls are normal. Take a look at the quality of the foods your eating. Or what's taking up the calories. Try more avacado with your chicken or steak if you like them. Stalls can be months and sometimes we can't do anything about it. Like I said before I think we need to be chemists to figure out ketogenic and how our body reacts to food. I'm only tracking carbs now. Seems to be triggering more cravings if I track fats. I'm essentially eyeballing the rest. Some days I don't eat much food at all but look at the quality and get a lot of fats in. I'll know if this is working better in a few months.2- 3 pants sizes is what I'm aiming for. I don't take the scale weight neccesarily to heart at the moment. Jeans size only for me. carolmotsinger try some " carb ups" in the evening. Strawberries , berries. Healthier lower carb items. But I'm the evening time. laurel.johnson your calories seem really really low. I would be curious to know if you feel hungry or what your progress is in about 3 months going at this rate. I would caution your body could go into a starvation mode and if you don't have enough fat your brain and other organs could be damaged. If you feel great, and have a lot of energy, no brain fog or hunger- then totally awesome for you! bannybo38 you will loose muscle with that little protein. And actually that isn't healthy. I'm not sure of the ramifications of that calculation, but it doesn't appear right at all. Maybe you have doing this awhile and it works for you. Great then.